This past weekend I headed out to a tradeshow in Calgary for work. I had never been to Alberta so I was really looking forward to this trip. I didn’t have a lot of time to get around but I knew I would still have a good chance at seeing a few new birds even right in around the city. 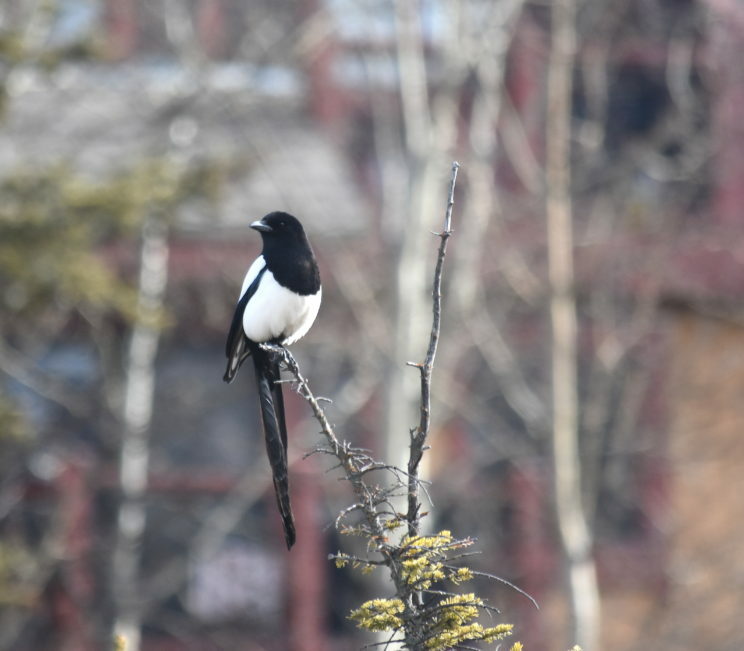 As I was leaving the airport in the rental car, I spotted my first of many Black-billed Magpies. A very common bird out west but not a bird I had seen before so I was thrilled with it being my first bird! I’m not sure why, but their behaviour seemed to remind me of Northern Mockingbirds. After the tradeshow ended on Sunday evening, I decided to head out toward Banff National Park for the night. My flight wasn’t until later in the day on Monday so I had a few hours to kill in the morning and what better way to do it than see a new part of the country! 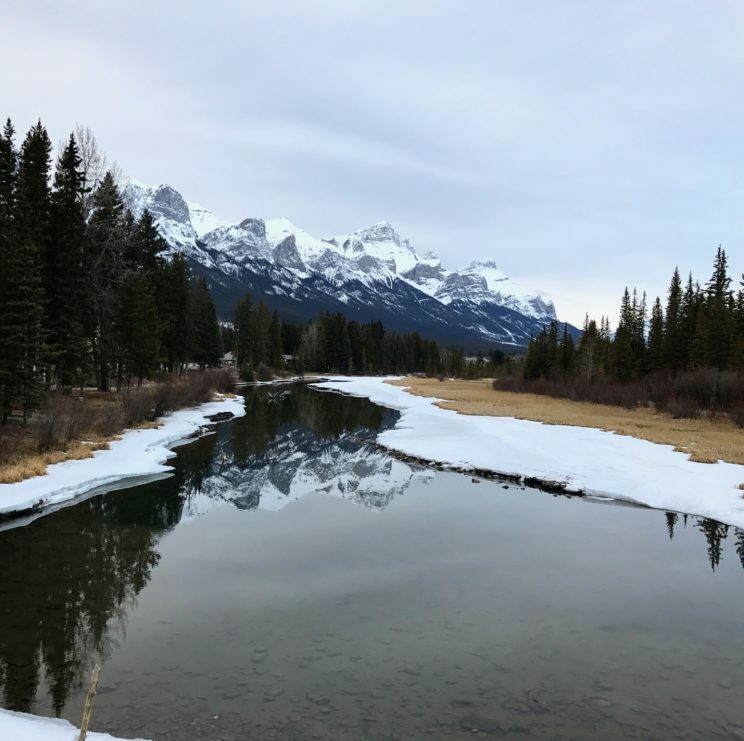 I made it to Canmore with about 45 minutes of daylight remaining so I made a quick check on eBird for some local hotspots I could check out. I didn’t bring a lot of gear with me because this was a work trip but I did have some hiking shoes, binoculars, camera (with a cruddy zoom lens that I bring only on quick trips) and a bit of warm clothes. 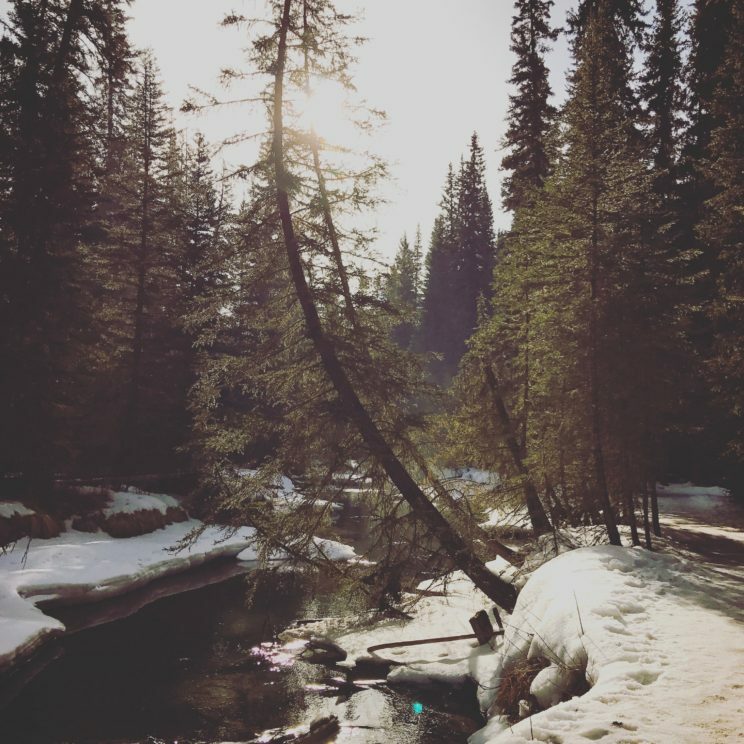 Just enough to enjoy a quick evening hike on Policeman’s Creek right in the heart of Canmore. What a beautiful spot! I ended up seeing a decent selection of birds here, and even heard a Great Horned Owl calling. After the walk, I headed the rest of the way to Banff. I stayed at the Ptarmigan Inn (partly because of the name of course). Nice hotel with some updated amenities. It was central for me which was key because I knew I’d only have a little time in the morning to look around. Someone recommended hiking up Tunnel Mountain. I was pretty excited with my bird potential on the Tunnel Mountain trail but unfortunately the trail was pretty much pure ice. I didn’t have cleats with me. I still attempted part of the trail but after falling for the 2nd time, I decided I better turn around. I did catch a glimpse of an Elk further up one of the mountains from here so all was not lost. I just ended up walking around the neighbourhood instead and it worked out fine. 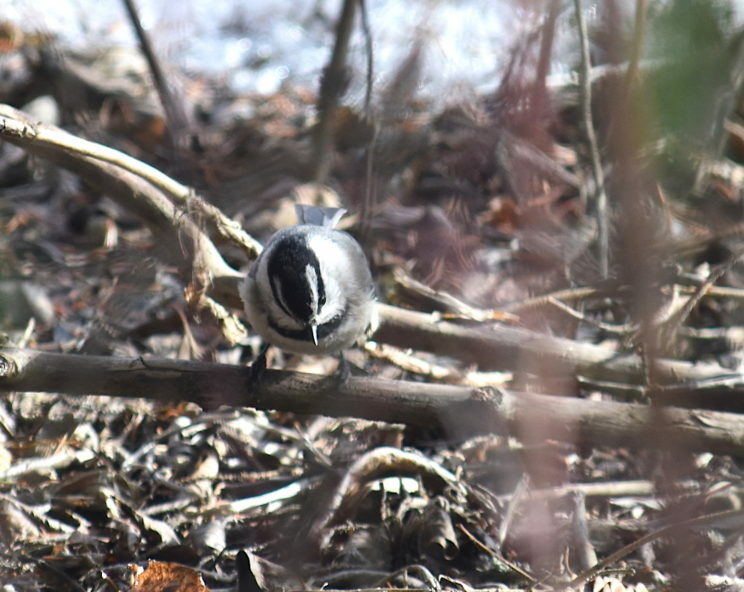 I picked up Mountain Chickadee which was another new bird for me. Mountain Chickadee. They don’t seem to sit still for very long! I still had a little more time to kill before starting to make my way back toward Calgary so I looked for a flat trail that I wouldn’t have to worry so much about the ice. I made my way over to the 2.1km Fenland Trail. The scenery was gorgeous. My target bird was an American Dipper, another new bird for me. 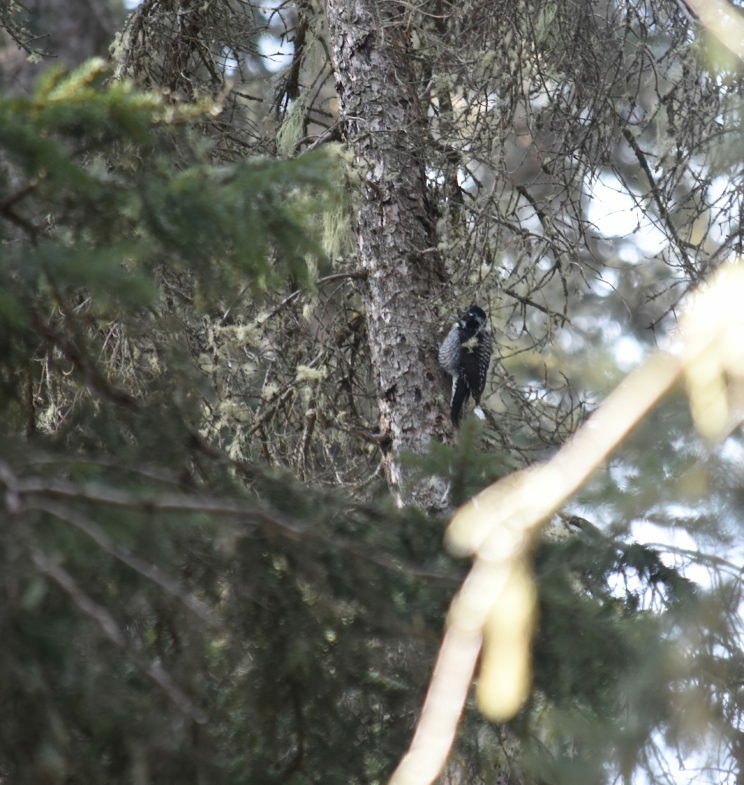 While listening to and watching an American Three-toed Woodpecker work on a tree, I heard the distant song of a bird I didn’t recognize at first. I thought to myself, that has to be a dipper so I took off down the trail. 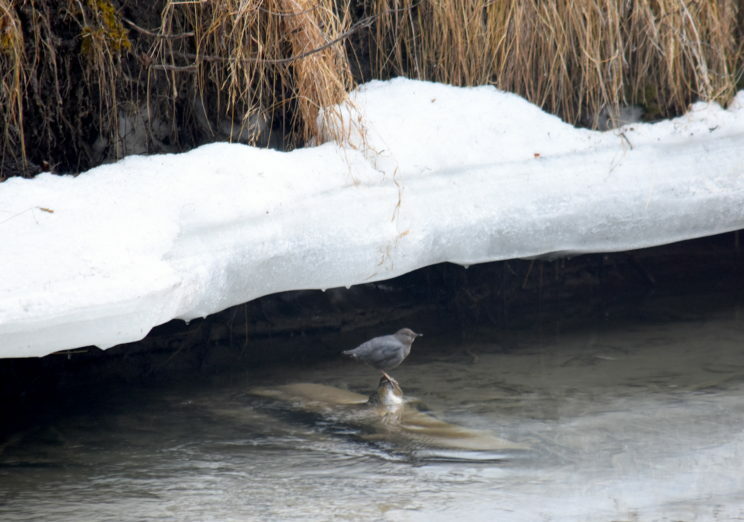 Sure enough, an American Dipper was singing its heart out. I watched it for a while before heading back to the car. It was still fairly early in the morning so I decided to make another quick stop at Policeman’s Creek boardwalk in Canmore. This ended up being a bit of a mistake :(. The trail was nice but when I got back to the car, I slipped and basically threw my camera at my car. I didn’t want to even look. Needless to say, the camera body is now in for repair. Of course my cruddy lens escaped with only a small crack on the lens hood. I didn’t let this ruin my day or the trip. Alberta was amazing. I sampled some delicious ‘berta beef and got to see a little bit of the scenery, including some great birds. I hope to get back soon!